Matrix-assisted laser desorption/ionization (MALDI) mass spectrometry imaging (MSI) is a powerful method for determining the location of biomolecules in tissue; however, protein identification and quantification remains challenging. 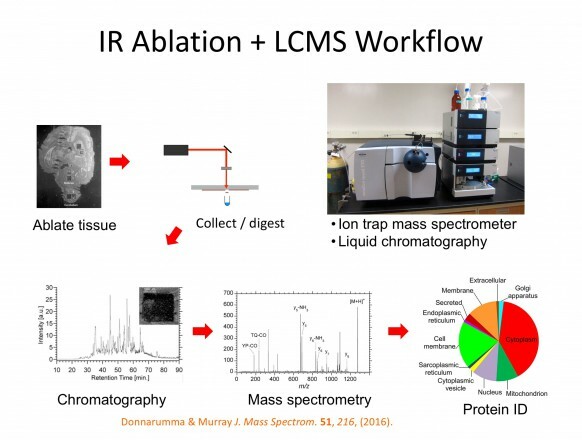 The goal of this project is to develop an imaging workflow that combines MALDI imaging with laser ablation microsampling for liquid chromatography tandem mass spectrometry. 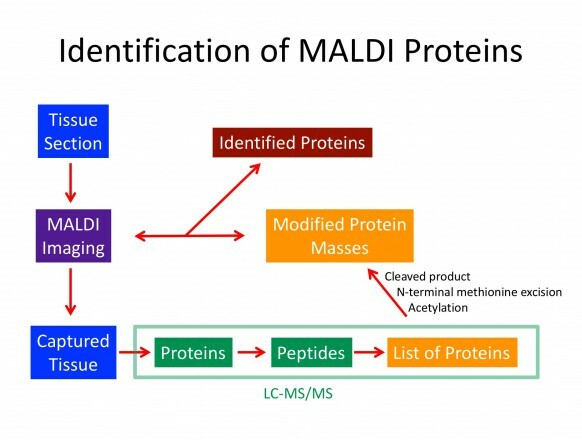 In the combined workflow, MALDI imaging is used to identify regions of interest (ROI) from intact proteins. 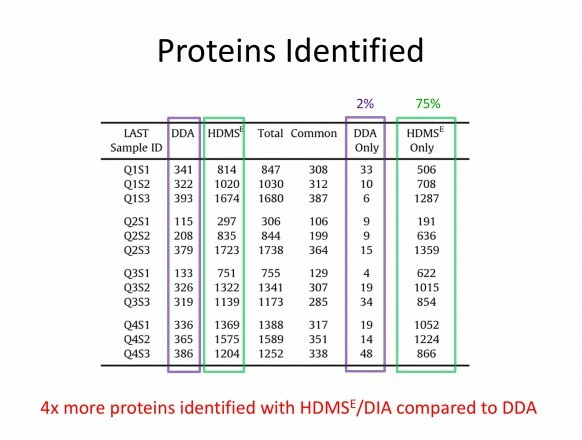 The ROI are sampled using infrared laser ablation and the captured material is analyzed by LC-MS/MS using data independent acquisition to identify and quantify the proteins. 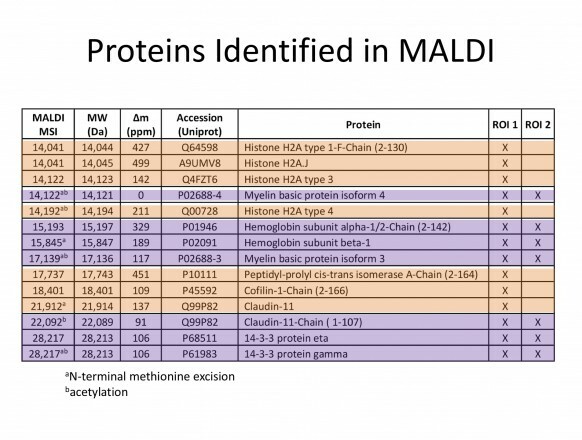 The data are cross-correlated to identify the localized proteins in the MALDI images. 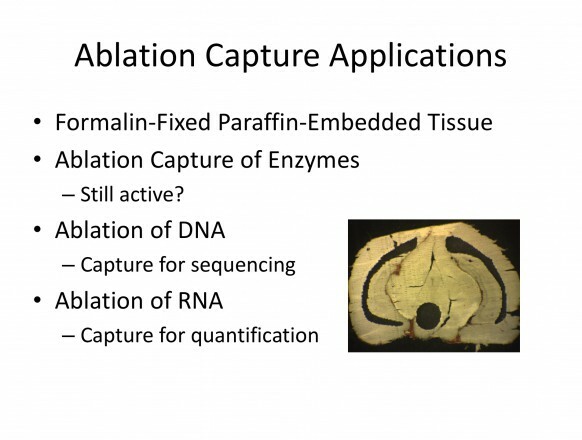 Development of the combined approach is aimed at creating an automated system for ablation and capture and using it in a coupled workflow of MALDI imaging and LC MS/MS analysis. 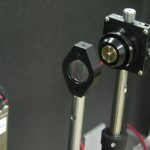 The infrared laser ablation and capture system uses a mid-infrared optical parametric oscillator laser with a custom reflective objective that has a large working distance and good numerical aperture. 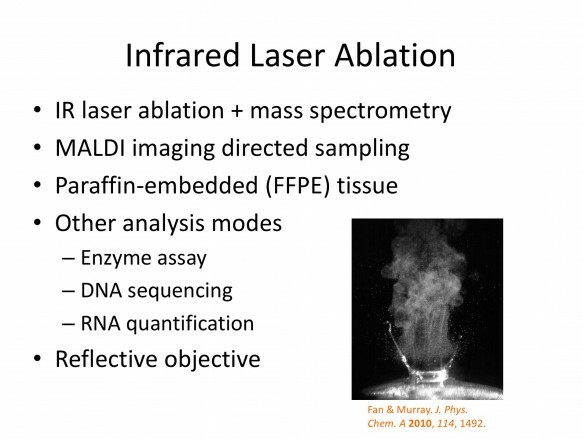 We have developed custom positioning software that allows MALDI MSI heat maps to be overlaid on camera images to co-register ROI ablation with the IR laser. 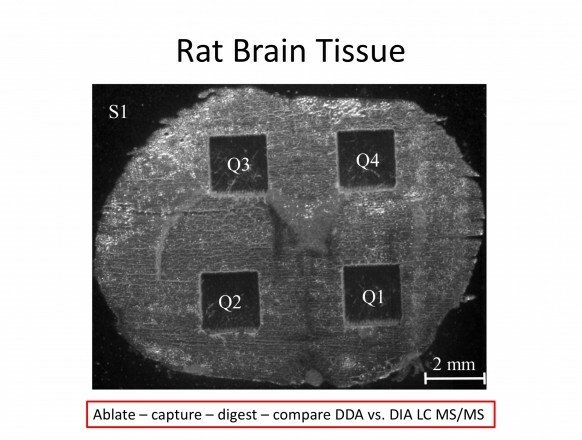 Tissue sections are mounted on conductive microscope slides and either consecutive sections or MALDI analyzed sections can be used. 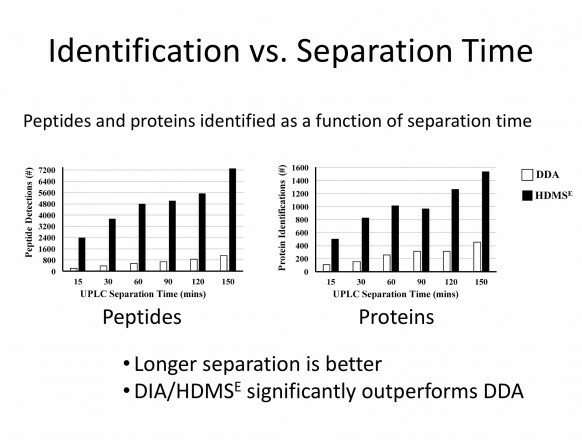 Laser ablated proteins are digested with magnetic capture beads and the peptides released for analysis with a Waters nanoAcquity UPLC system coupled to a Synapt G2-HDMS. 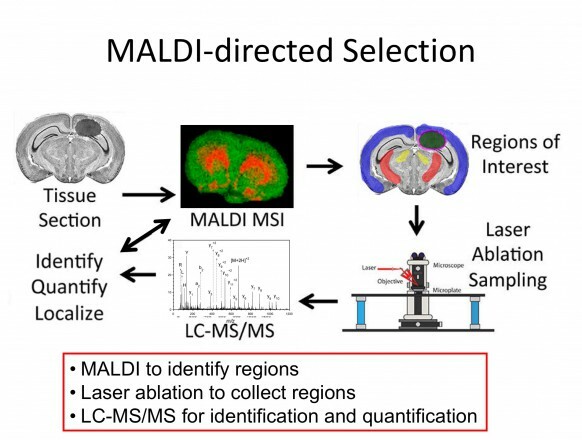 MALDI MSI coupled with region-specific laser ablation sampling for LC MS/MS is a fast and versatile approach for spatially resolved tissue proteomics. 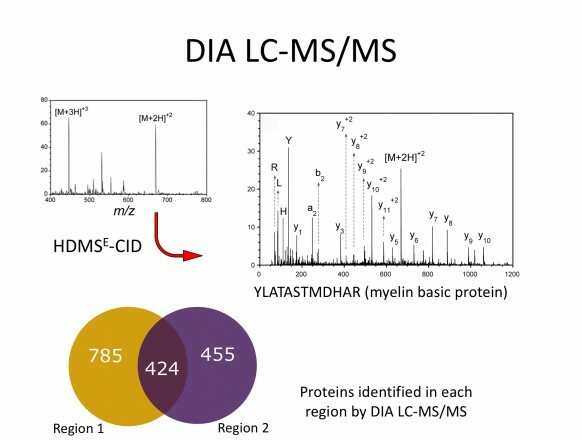 We have demonstrated that proteins can be identified from spatially localized regions and are developing new methods for correlating the intact proteins observed in MALDI with the proteins identified by tandem mass spectrometry. 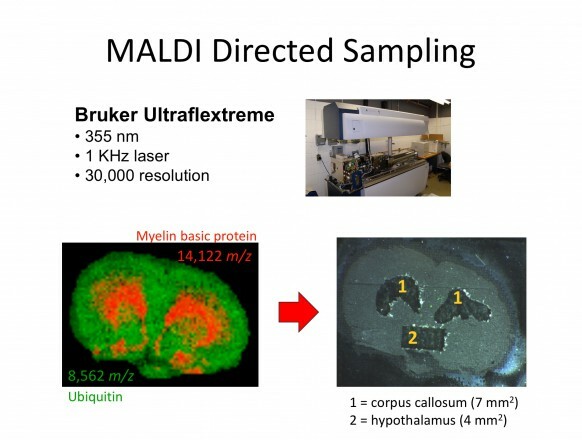 Novel Aspect: Coupled MALDI imaging with high precision infrared laser ablation capture for LC MS/MS for protein identification and quantification. 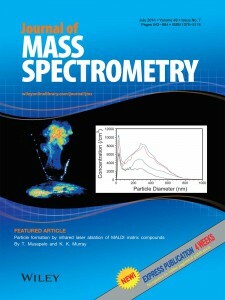 We are using combined mid-infrared and deep-ultraviolet two-laser ablation coupled with electrospray ionization for ambient mass spectrometry of biomolecules in tissue. 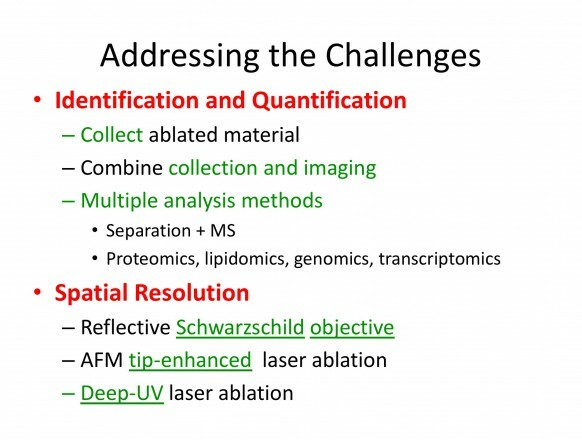 The goal is to increase nanoparticle production and improve sensitivity by using the UV laser to disrupt the tissue structure followed by IR ablation and ionization. 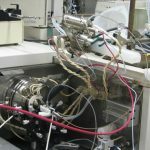 In this work, we are using a 193 nm ArF excimer laser to disrupt the tissue prior to irradiating with a 3000 nm IR optical parametric oscillator. Both lasers are focused onto the same target spot and separated in time by an adjustable delay. 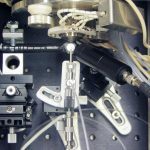 A nanospray needle is directed at the inlet on-axis of a modified quadrupole time-of-flight mass spectrometer. 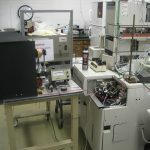 The two-laser ablation system has been constructed and initial studies carried out for optimization of the system with peptide and protein standards. 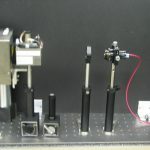 The lasers are mounted on an aluminum breadboard adjacent to the ion source and are focused onto the target with a single calcium fluoride lens for each beam. 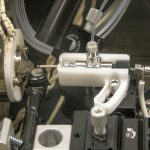 The dual-laser configuration can be operated either with the UV firing first to disrupt the covalent bonding in the tissue or with the IR firing first to heat the tissue. 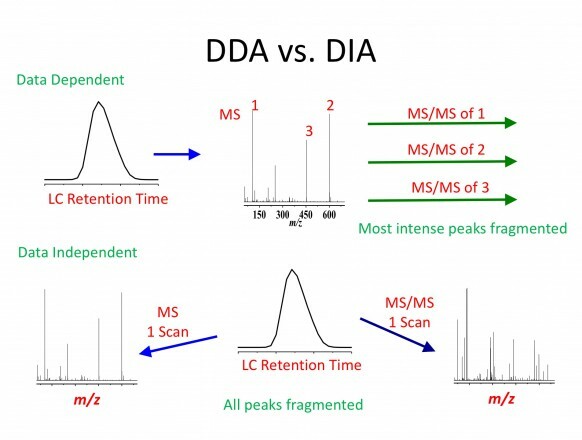 Initial studies with 193 nm laser ablation electrospray ionization demonstrate that the deep-UV is a much softer ionization method than might be anticipated and can produce ions from peptides and proteins without a matrix and with little fragmentation. 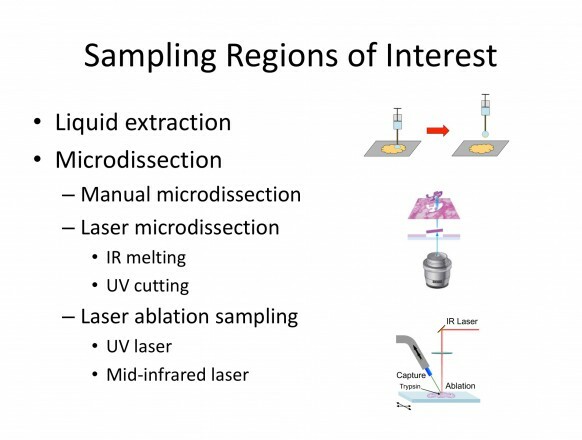 Based on this interesting new result, initial experiments are aimed at improving the efficiency of the deep-UV ablation using IR laser pre-heating. 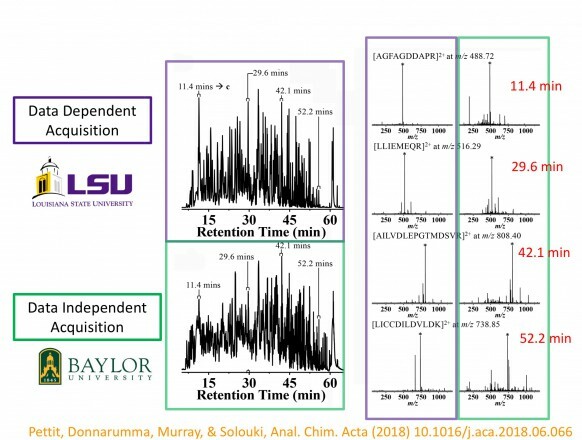 We have demonstrated that deep-UV and IR ablation coupled with electrospray ionization is a promising soft ionization method for large molecules with applications to tissue imaging. 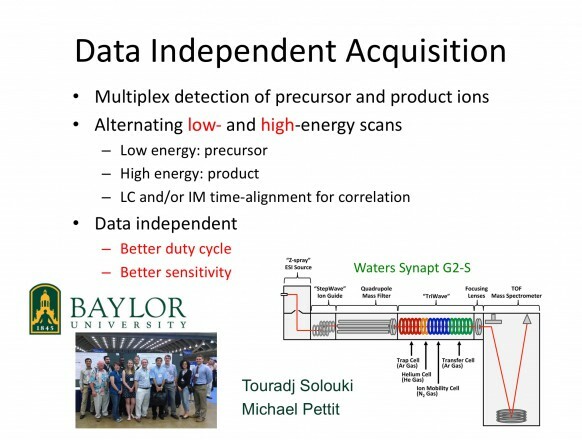 Continuing experiments are aimed at optimizing the UV and IR laser pulse energies and time delay to improve the sensitivity as well as improving the UV laser focus to improve spatial resolution. 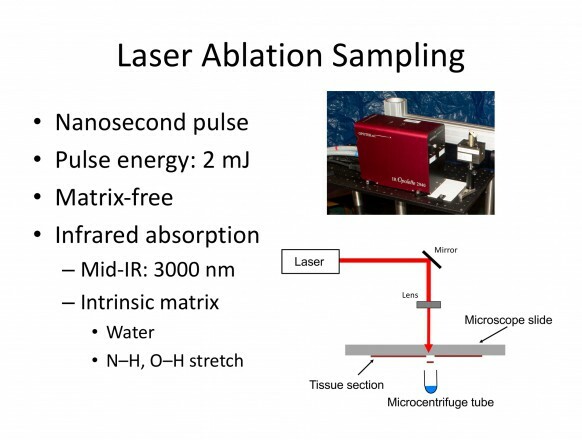 Novel Aspect: Combined mid-infrared and deep-ultraviolet laser ablation on the same spot for laser ablation electrospray ionization imaging. 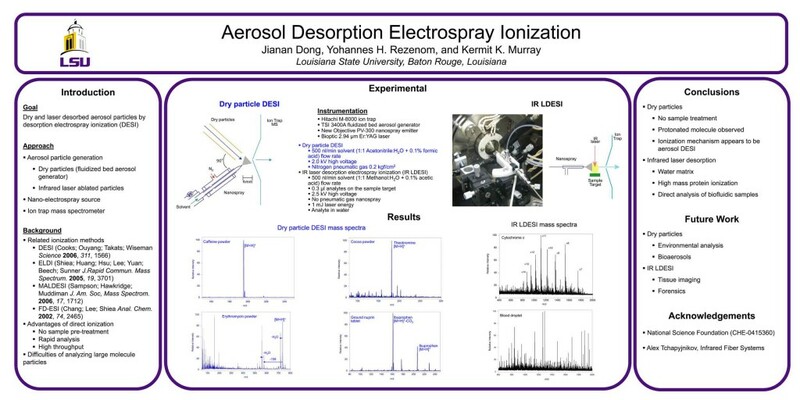 J. Dong, Y. H. Rezenom, and K. K. Murray, “Aerosol Desorption Electrospray Ionization,” Presented at the 55th ASMS Conference on Mass Spectrometry, June 4, 2007, Indianapolis, Indiana, Ambient Ionization I, MP 006.